The Razan State Medical University named after Academic I.P. 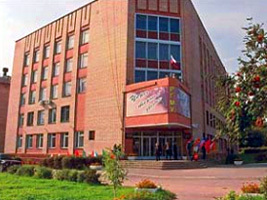 Pavlov is one of the biggest Universities of the Central Area in Russia. The Razan State Medical University was founded in 1943. Today the university has become a major centre for training. University studies are closely integrated with fundamental and applied research, providing highly professional medical assistance to the population and promoting the advances of medical science and pharmaceutics. Adress: 390026, Razan, Visokovoltnaya street, 9.